Old etiquette books are a great source of entertainment. Pages and pages of rules and tips on how to act and how not to act. In short, an almost complete prescription for how to be perceived as perfect by your fellow members of polite society. The entertainment value comes from seeing whether the rules as prescribed are still relevant today and if so whether the consequences of a transgression are still quite as harsh. For this reason and because to me these etiquette books are the antitheses of authenticity and a symbol of the energy involved in striving for perfection, I will try to open each Challenge post with a relevant quote from one of these books. We spend a lot of time working on aptitude. 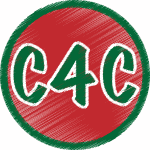 Studying, researching and honing our skills in our relentless strive to show the world a finished and polished product. In most cases, we never even get to the point of showing the world the skills we have mastered because in our minds they are deemed not enough or as we wish them to be. And the world and we miss out. For in all of the finishing and polishing we have missed the chance to truly be ourselves and to learn even more. Worse yet, we often chose not to attempt something at all, because we know that it will not be prefect. True it is we marvel at those who display amazing talent. It is also true that after a certain age, we also marvel and even admire those that try no matter how imperfect they are. Namely, we admire their attitude. And why is this? Why does the 80 year old skydiver fill our hearts with so much inspiration? Is it because their technique is perfect? Or because we have finally let them off the hook of the need to be perfect? At what point in the human life cycle is the statute of limitations reached for the need to strive for perfection ? It is a real shame that we only allow ourselves and others the luxury of true authenticity in the twilight of their lives. This is the one time when we seem to celebrate attitude over aptitude. 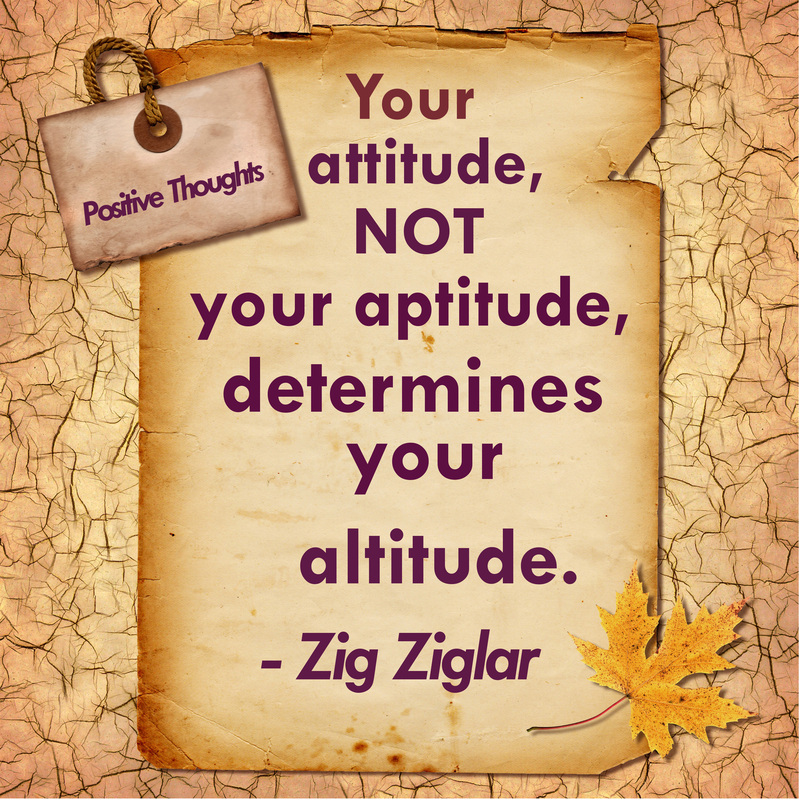 When Zig Ziglar framed his famous words he did so in the context of describing the powerful benefits of a positive attitude. This post is not about advocating a positive attitude (although that helps – a lot), but rather an attitude of I am who I am and I’m ready to show the world even though my aptitude may not be the standard that I think is required. Denying yourself fun and enjoyment because you miss a few steps is just reinforcing your perfectionist comfort zone. Hearing someone had the same struggles is liberation. Daring to believe in your aptitude is daring to be imperfect. 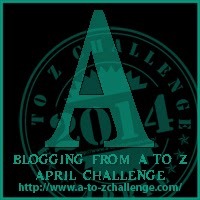 To all of my fellow A to Z bloggers, happy A day and let the Games begin! Is there something you have always wanted to try but haven’t for the fear of not doing it perfectly? Posted on 01/04/2014 by the curtain raiser •	This entry was posted in A to Z April Blogging Challenge and tagged #atozchallenge, a to z april blogging challenge, A to Z of Living Imperfectly, attitude, attitude not aptitude determines altitude, authenticity, connection through "me too", imperfection, strive for authenticity, strive for perfection, Zig Ziglar. Bookmark the permalink. LOL :). A Day is one of the few days where being in the future has an advantage. After A, it will be less obvious as there will be slippage on my part I am sure. Gives the expression “seize the day a whole new meaning. Can’t wait to see your first post. 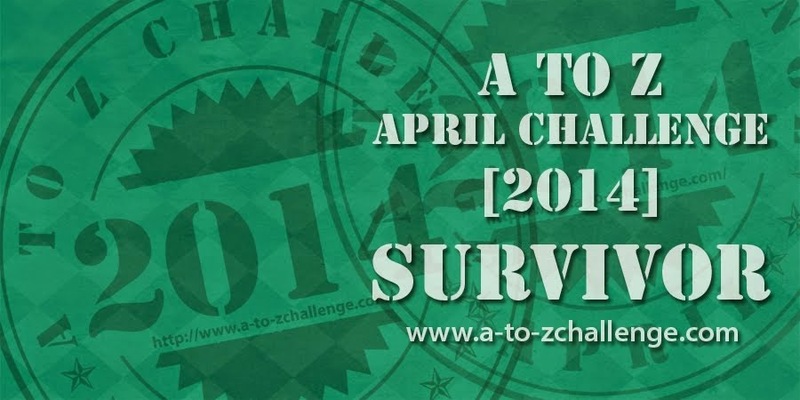 Great launch of your April blog challenge! I think the statute finally kicks in full time in our late 60s, early 70s. I hear you about work, I’m the same although I’m learning to let perfection go. Too much time spent beating myself up about not meeting my own self imposed standard despite achieving the objective if the client. In my view self-tolerance is a discipline like any other that needs to practiced. Yeah for baby steps and crumbs. Crumbs are a symbol of life. Your shirts contains a lovely twist because altitude can affect attitude in a most negative way if one is not careful :). Launching in business is never an easy decision, as conditions will never be perfect. Asheville is quite the eclectic place and very scenic. My daughter may end up going to college there. On the conditions never being perfect, you are so right. That is where people need to recognize opportunity and then seize it before it passes. Thanks Rama. It’s always a relief to get the kick off post out there! Wow! It’s that time of year already? I bow to you oh blogging hero! I just started a job today, my first in 14 years… I had wanted to participate, but I think I will be lucky if I can recite the alphabet by the end of the week… boy has my brain become mush. Great post, well done you! I can’t think of a thing at the moment. I was that way with marriage for a long time (and boy am I glad! It kept me from having two lousy marriages before I got to the good one). I was also that way with fiction for a long time. Not that way with fiction now, just writing other things this year (I write every day). But it took me a long time to get over the need for my fiction to be perfect before I allowed anyone to read it. And guess what? That is my weakest area of writing, because I’ve never gotten enough feedback to help me improve it. The older I get the less I care whether or not I am perfect and I care even less if others think I am. A great first post! I am heading that way too. Why do we wait so long to be liberated? Holding back for perfection has become way to accepted if you ask me. I wish more people would feel the freedom to let go and just do what they enjoy. I wish that I would take my own advice sometimes! Just when I’m ready to head for bed, you scroll across the screen with this compelling read. This is one to keep and ponder. Your comment about being willing to admit uncertainty or difficulty in order to give someone else a chance to say, “Yeah, me too.” – I hadn’t thought of it that way, and that does require humility and honesty. I’m in my early 60’s – I still strive for perfection in certain things, but we do become more accepting of our limitations; perhaps because we know there’s not enough time left to achieve perfection! Thank you for your enlightening article on attitude vs. aptitude. 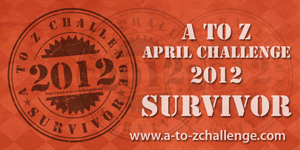 I would have missed this amazing opportunity to take part in A to Z Challenge myself, if I had not given up my “perfectionism” two weeks ago. Now I am glad I have made up my mind to sign up for it. Great to hear and that you are positively embracing the Challenge. 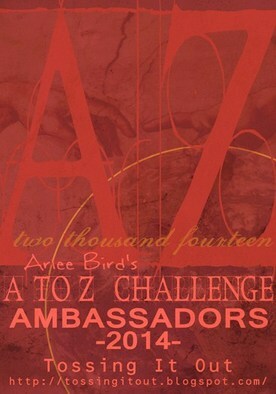 I will have to track down your blog and check out your Challenge posts. Perfectionism is a real barrier isn’t it? Yes. Applying to grad school . I don’t know if I’m my worried that a) I’m not good enough; b) someone will tell me I’m not good enough (which has happened before with other goals) and my lack of self-esteem will submarine the rest of it. The self-esteem gremlin has a lot to answer for, doesn’t it? I hope you get to the point where you feel you can deal with whatever is the consequence of your application. I have always wanted to dance! I can dance. Badly, in a pub. But put me with a partner and I step all over their toes. I would like to have lessons one day. 🙂 Nice to meet you! Nice to meet you too! I love dancing and have only just rediscovered it. Guess what my D post will be about? Delightful to read your post on attitude. We cannot complete many tasks without it. Just as the grass seems greener on the other side, we often think (as the lady in the Zumba class did) that others are better, they learn faster, etc.. Most of the time, it’s not true. Even if it’s true, so what? I knew I would love this series of yours! It is very difficult to respond honestly. I fully agree as I indulge more and more in activities / fields that I am not and will never be a professional in. I believe the terms “dilettante” and “amateur” should not be use in a derogative way as they actually mean: doing what you love. However, I say this having spent about 25 years as the worst perfecionist in some very specific areas (which nonetheless occuopied a major part of my life) – and I admit I sort of partly to returned to one of them as I honestly missed the thrill of applying some really deep expertise to something very specific. There were lots of things I didn’t try- or abandoned- because I couldn’t do them perfectly. In the past 2-3 yrs though, I have consciously tried not to stay so hung up on perfection. I do trip up at times though. Why does the 80 year old skydiver fill our hearts with so much inspiration? Is it because their technique is perfect? Or because we have finally let them off the hook of the need to be perfect? We really do give older people the right to be imperfect, don’t we? Never looked at it that way before. Have you read The Gifts of Imperfection?